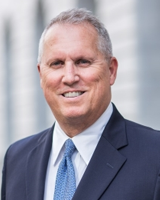 Gary S. Brown is the founder and owner of Brown Weimer LLC. He has been practicing law for over twenty years, assisting clients with a variety of legal matters. He is at home in the courtroom or the conference room. In the past, Mr. Brown practiced in the large firm environment where he represented major banks and corporations in complex litigation matters. But he missed contact with people and solving their real-life problems. He missed the rewards of personally serving and getting to know his clients. He also sometimes felt when he represented the interests of big business that he was on the wrong side. So he founded this law firm to represent people, not business. Yet, those years in high stakes legal trenches honed Mr. Brown’s legal skill and knowledge. And now he uses his skill and knowledge to help you, the individual, in family and elder law matters. Family matters are closest to the heart. Major changes are stressful, especially when the outcome feels like it is out of your control. The best way to minimize strain when facing a legal issue is make sure you have a strong advocate on your side. A good attorney will guide you toward resolution and develop a strategy to efficiently see you through. At Brown Weimer LLC, formerly known as Law Office of Gary S. Brown, LLC, we make it our business to alleviate your worries, fix your problems and assist you in moving forward with your life. Our law firm concentrates on handling family law and elder law cases. We have the knowledge, experience and training to solve your problems. Whether you are a senior citizen planning for incapacitation or death, or a family member wishing to assist an elderly loved one with end-of-life and incapacity issues, our firm has the knowledge and experience to advise you on strategies and options to preserve your way of life and assets. Talk with one of our attorneys about your succession, estate and probate issues today. Whether you and your ex have agreed on the issues or you need help working through complicated divorce issues, our attorneys can help. We work with individuals from a variety of backgrounds, including professionals and military personnel.